Always a good line at festivals markets and outside events with the British weather! 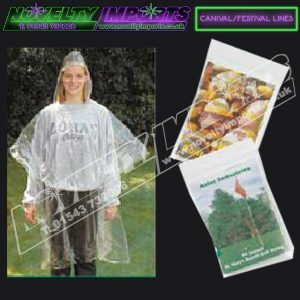 Disposable rainwear poncho, one size fits all adults a generous full length with hood 50″x 80″ made from 100% waterproof clear vinyl with machine welded seams. 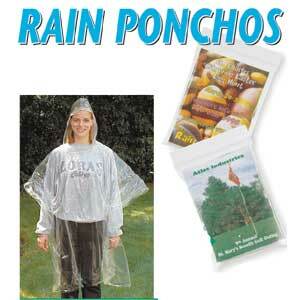 1/pc plain sealed bag 200/pc to this full carton.